The day just before Eid is called al-Waqfeh (standing day) because on this day, in Mecca, pilgrims will be standing on Mount Arafat till sunset. Arab TV stations bring live coverage of the event, and people sit behind their TV screens to watch hundreds of thousands of men and women, dressed in white terrycloth that represents equality among pilgrims, while they invade those hilltops near Mecca and gradually turn their color from sandy brown to pure white. 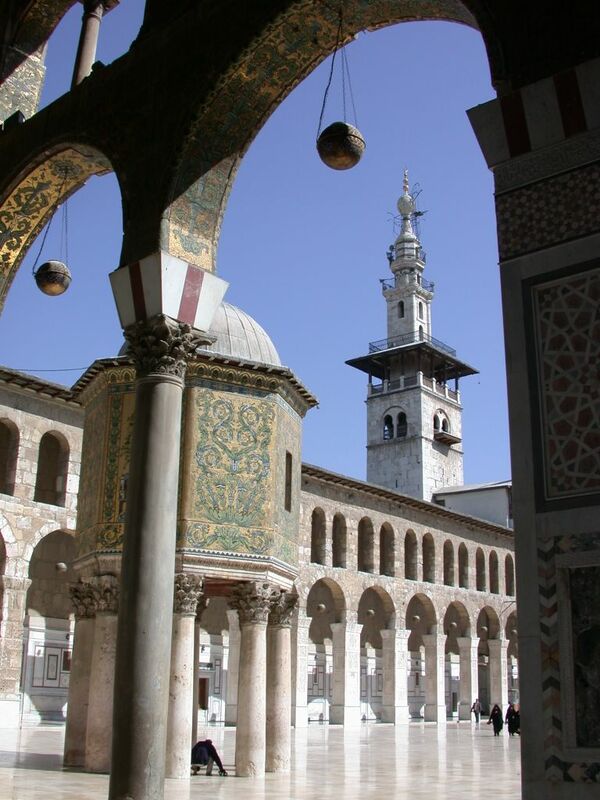 * Picture: The Omayyad Mosque, Damascus. Eid Mubarak to you, your loved ones and your readers!